Some dishes pair well with certain wines. Marvel’s Jessica Jones works best with a glass of whiskey “neat”. Jessica Jones is probably my favorite Netflix original show so far. Narcos is close, but Krysten Ritter pushes this new show to the top. Krysten Ritter always plays the bad girl…and is one of the most beautiful bad girls on TV. Here she is as Jesse Pinkman’s girlfriend in Breaking Bad. In Breaking Bad she is a dysfunctional meth addict. I’m assuming most people have watched this series. If not I don’t want to spoil anything. Let’s just say things don’t work out well for her. In Jessica Jones, she has a drinking problem. She crushes so much whiskey that she almost makes it seem like a superpower. I don’t advise chugging any type of alcohol, but consuming 1-2 drinks per night has been shown to have significant health benefits. Click the link below (opens in new window). Whiskey in moderation is good for the body. …and watching Jessica Jones (and Krysten Ritter) is good for the soul. I’m recommending that you pour 1-2 ounces of whiskey into a glass…to sip on while watching Jessica Jones. Straight whiskey is only about 100 calories per ounce. So this is only 100-200 calories. Scotch is pretty trendy right now, but Kentucky Bourbon is what I recommend (it’s also what Jessica drinks most of the time). If you want a good one that is medium priced, I’d go with Bulleit. 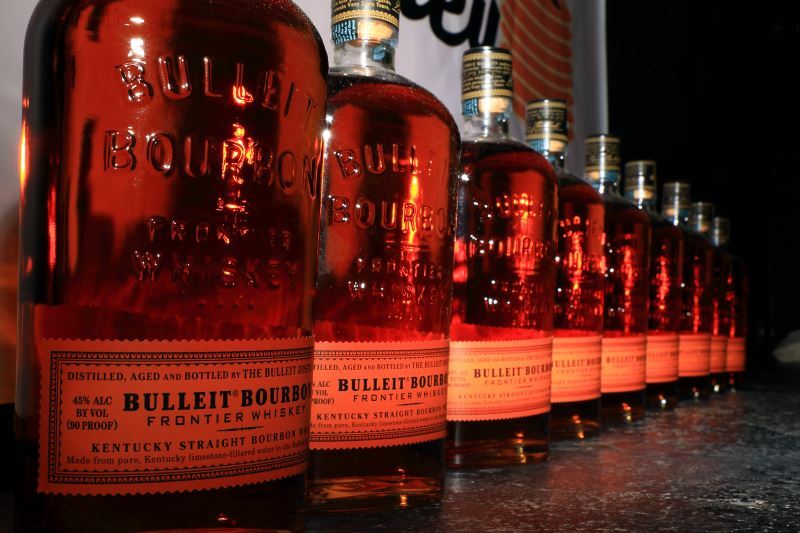 Bulleit Bourbon can run you close to $30 per bottle. Not super spendy, but not cheap either. If you want a good budget priced bourbon, go with Old Grand-Dad. Here’s a link to a review of this bourbon (opens in new window). You can usually get a bottle of this for $18-$20…and it’s good stuff. Again, I highly recommend this show. …and to get the full Jessica Jones experience, sip on a bourbon (or two) as you watch.